If you’ve been waking up with a sore jaw in the morning, you might be suffering from a temporomandibular joint disorder (TMD). 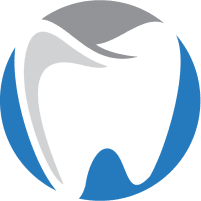 Kourosh Keihani, DDS, and his team at Oxnard Dentistry help men, women, and families living in or around Oxnard, California, find comprehensive and effective solutions for TMD. Call or go online today to learn more about the types of TMJ therapy offered at Oxnard Dentistry. The temporomandibular joints (TMJ) are responsible for the opening and closing of your mouth. They’re located at the base of the skull, in front of the ears on both sides of your face. Temporomandibular joints allow you to yawn, eat, and speak. If you’re suffering from a TMJ disorder, you might not be able to perform these gestures. What are the symptoms of temporomandibular joint disorder (TMD)? TMD is a difficult condition to diagnose because many of its symptoms belong to other medical conditions as well. While these symptoms might be signs of a more significant, non-dental condition, you should get in touch with the office as soon as possible to make sure they aren’t related to TMD. How do you treat temporomandibular joint disorder? Unfortunately, there is no known cure for TMD. However, Dr. Keihani and his team offer a series of therapies to help restore your jaw function and prevent the development of dangerous side effects. During your TMJ consultation at Oxnard Dentistry, Dr. Keihani and his team teach you effective techniques to relax the muscle tension in your jaw. They might also give you some anti-spasm medication to help achieve this. Dr. Keihani also offers custom-made appliances that you can wear either during the day or while you sleep to prevent you from clenching and grinding your teeth. These custom appliances are great ways of teaching your mouth to relax. Oxnard Dentistry offers specialized therapeutic plans to help you get rid of your symptoms. The more you discuss your symptoms with Dr. Keihani and his team, the better they’re able to recommend adequate treatment. Dr. Keihani and his team can help you develop healthy habits to treat and cure your TMD. Get in touch with the office today by phone or online to book an appointment.